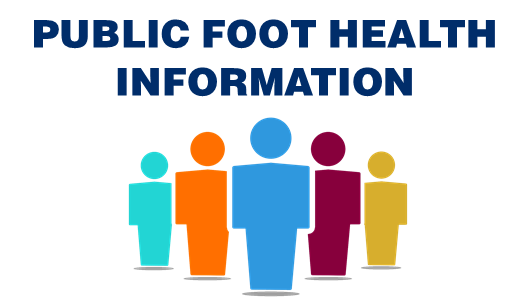 On Saturday, May 26, 2018, during the final week of Foot Health Awareness Month, the CPMA will be opening an Ask A Podiatrist Hotline: a temporary 1-800 number where the general public can call in to speak directly to a podiatrist. We did successfully this in BC a few years ago, and we are now rolling the program out nationally. To do this, we need volunteers. During each two-hour window, the line will be picked up by a CPMA member who has volunteered to answer foot health-related questions. To do this, we will be acquiring a temporary toll-free VOIP number which will forward to a pool of designated phone numbers matching participating Podiatrists on duty for that window. For each time slot, we will need five podiatrists to comprise that pool. We are looking to cover a window that spans 9am to 5pm in each time zone (12 hours total). Ideally, we would have people in the East covering the earlier part of the day, and have podiatrists in the West close out the schedule. Please visit: https://goo.gl/RUvGVs to select a time slot that works best for you. We encourage your participation! Windsor, ON, May 8, 2018 – Taking a minute or two every day to inspect your feet and observing a few simple rules can make the difference in sparing diabetes patients from a preventable outcome of the disease – a foot amputation. James says foot and ankle surgeons use a variety of surgical and non-surgical methods to heal diabetic ulcers, but stressed early intervention yields the most favorable outcomes. An estimated seven in 10 diabetes patients have nerve damage that impairs feeling in their feet. Fifteen percent eventually will develop a foot ulcer. Among those with ulcers, one in four will lose a foot. Each year more than 86,000 amputations are performed as a direct result of diabetes, and studies show that half of those who have one foot or leg amputated will lose the other within five years. Proper diabetic foot care, says James Hill DPM FACFAS, prevents foot loss. 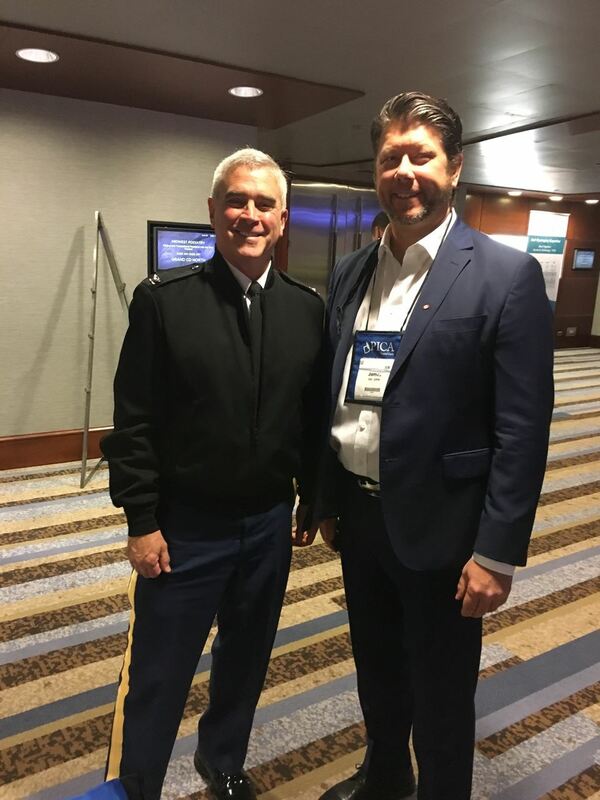 On Friday, April 20, 2018, OPMA President James Hill attended the Midwest Podiatry Leadership Breakfast in Chicago, Illinois, on behalf of the CPMA and OPMA. "The APMA Board of Trustees sponsored a leadership breakfast with APMA representatives, Region Five executive directors, presidents and chief delegates. APMA President, Dennis Frisch, DPM and other APMA board members were in attendance. I was honoured to meet and speak with Congressman Dr. Brad Wenstrup. Dr. Wenstrup is a current member of the US House of Representatives and is also a Doctor of Podiatric Medicine. Last year he introduced the Veterans Affairs Provider Equity Act (HR 1058) that would grant Podiatrists the same supervisory roles and pay scales as other VA doctors in Veterans' hospitals. The Bill has passed the House of Representatives and has been referred to the Senate, where it has been read twice and is now before the Committee on Veterans Affairs"
The OPMA was invited to participate in the annual Health Fair held in the Ontario Legislature on March 21. Members Bob Chelin, David Shaw and Peter Stavropolous staffed our booth and answered questions from Ministers, MPPs and their staff about podiatry and about the benefits of Ontario converting to a podiatry model of foot care. The new Minister of Health and Long-Term Care (Dr. Jaczek) was kind enough to arrange for David Shaw and Peter Stavropolous to observe Question Period from the Members' Gallery (while Bob Chelin handled our booth) and she also introduced them to MPPs and visitors during the legislative proceedings. "I’ve just been informed that we’re joined by David Shaw and Peter Stavropoulos. They are from the Ontario Podiatric Medical Association and they will be at the health fair today". I would like to thank you and your organization for being part of Health and Wellness 2018. The Health Fair was a success. The feedback received was very positive. The participants found the event very engaging and interactive. They were also pleased with how your organization interacted with them and provided them with valuable information. Please pass my thanks to your staff for taking time out of their busy schedules to be part of this day. This event would not be a success without all of you. I am very grateful your assistance, hard work, enthusiasm and participation. Hope we can work together for future events. Thank you again and take care. 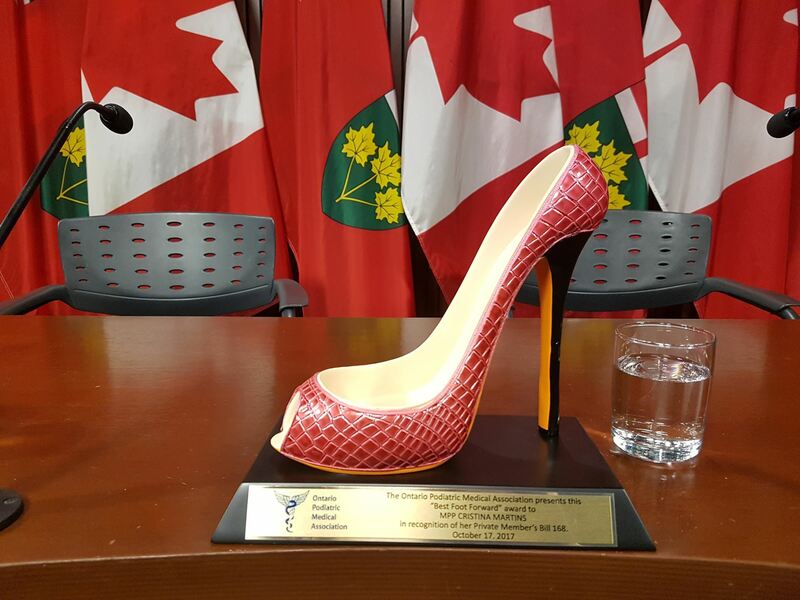 On March 7, 2017, the Ministry of Health and Long-Term Care released the Health Professions Regulatory Advisory Council's (HPRAC) Chiropody and Podiatry: Regulation of the Profession and the Model of Foot Care in Ontario. The Ministry held a 45-day public consultation on the report and recommendations. The OPMA made a submission to the Ministry on April 21, 2017. Click the picture below to read the submission. 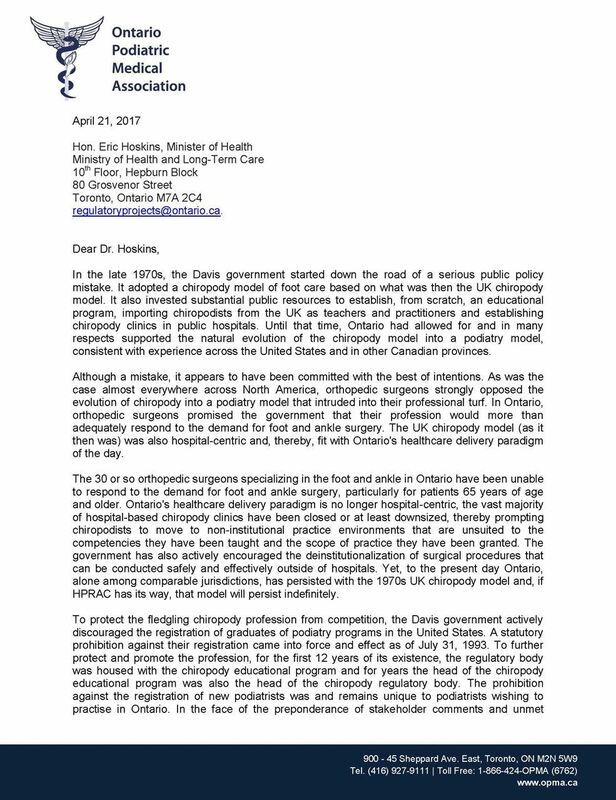 The College of Chiropodists of Ontario also made a submission to the Ministry on April 21, 2017. Click the image below to read the submission. With the support of the OPMA, the College of Chiropodists asked the Minister of Health and Long-Term Care to initiate a review by the Health Professions Regulatory Advisory Council (HPRAC) on the proposal to convert to a podiatry model, analogous to the models operating in British Columbia and Alberta, not to mention all US states and an increasing number of foreign jurisdictions. The OPMA made two submissions to HPRAC regarding the Chiropody and Podiatry review. On August 28, 2015, HPRAC transmitted its reports on Ontario's footcare model and the chiropody and podiatry professions to the Minister and Ministry of Health and Long-Term Care. In September, the Minister determined that he wants the Ministry to do additional work relating to HPRAC's recommendations pertaining to the podiatric scope of practice. At this time we have not been given the timeframe for the work to be completed and the report to be released. Representatives of the OPMA have met with Minister Hoskins himself several times, as well as with the members of his personal staff who are responsible for this file and with senior Ministry officials. The OPMA has also been very actively engaged with the College and with the OSC. The OSC has indicated that it is "100%" supportive of the College's recommendations to HPRAC and we are all working together to try to get the necessary legislation drafted, tabled in the Legislature and passed before the next election in June 2018. The Order of podiatrists of Québec and the Université du Québec à Trois-Rivières are happy to work together in preparation for the next dermatology symposium. It will take place at the UQTR campus in Trois-Rivières on Saturday November 17th 2018. Dr. Ashfaq A. Marghoob, a reputable American dermatologist whom specializes in dermoscopy will cover the following topics: dermoscopy evaluation of the nails and of the plantar aspect of the foot. The OPMA and its members salute the B.C. podiatrists for taking proper foot health care to the public. Free foot care pilot project in Abbotsford, B.C. showing positive signs for patients. Dr. Scott Schumacher poses for a photograph at his podiatry practice in Surrey, B.C., on Jan. 6, 2018. ...The program in Abbotsford, about an hour's drive east of Vancouver, is studying the impact of providing a free foot clinic to vulnerable patients in the dsialysis unit. Poor circulation paired with neuropathy, a lack of sensation in the feet, means these patients are prone to developing open wounds and infections that put them at risk for amputation. Initial results from the three-year study indicate the free care has reduced the number of leg amputations by half, echoing larger studies from the United States that have shown access to foot care reduces leg amputation in diabetics. However, the clinic's future is in doubt. Funding from the BC Renal Agency, which is overseen by the Provincial Health Services Authority, for the three-year project ended at the end of 2017, though the renal agency recently provided additional funding to keep the clinic open until March. Tej Sahota on CH Morning Live Promotes healthcare. Hartley Miltchin, DPM, on behalf of The Ontario Podiatric Medical Association appeared on TORONTO’S NUMBER ONE MORNING SHOW, BREAKFAST TELEVISION on CITY TV to promote FOOT HEALTH AWARENESS MONTH. 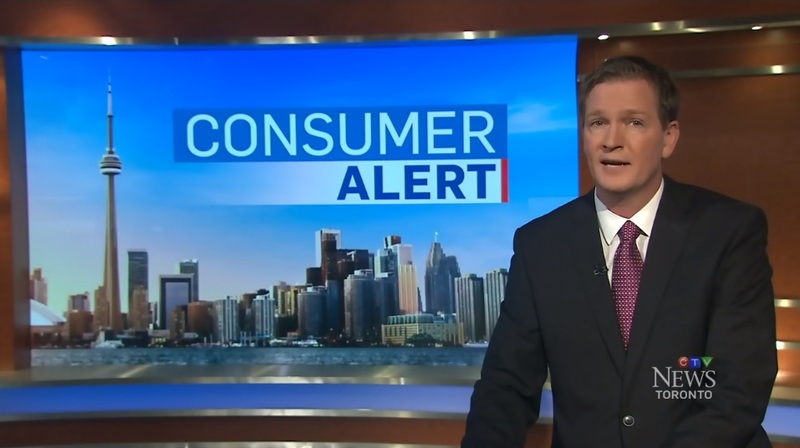 Learn more about the growing dangers of pedicures and some helpful "Stay Safe" tips in an installment of CTV's "Customer Alert". Cristina Martins & Jim Hill - Award Presentation. "Putting Your Best Foot Forward Act" Cristina Martins, Toronto MPP. Follow the "Putting Your Best Foot Forward Act". 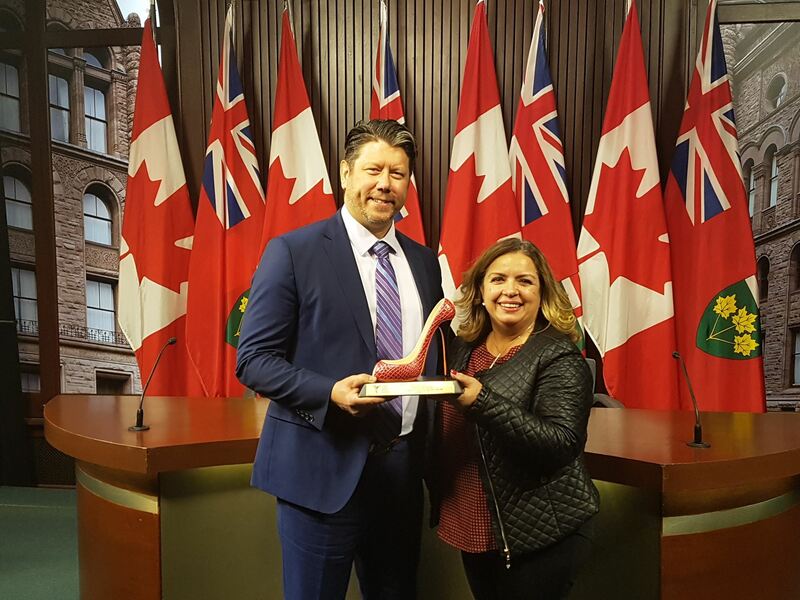 Toronto MPP Cristina Martins (Davenport) tabled her “Putting Your Best Foot Forward Act” today, October 17, 2017, in the Ontario Legislature. The Bill will make changes to the Occupational Health and Safety Act and “prohibit employers from requiring an employee to wear footwear that is not appropriate to the protection required for their work." OPMA applauds this Private Member's Bill for advancing workers' foot health in Ontario.